On June 1, 2018, just weeks after New Mexico State University hosted its Spring 2018 commencement and celebrated the retirement of former chancellor Garrey Carruthers, the Board of Regents announced Dr. Dan Arvizu as NMSU’s newly appointed chancellor. 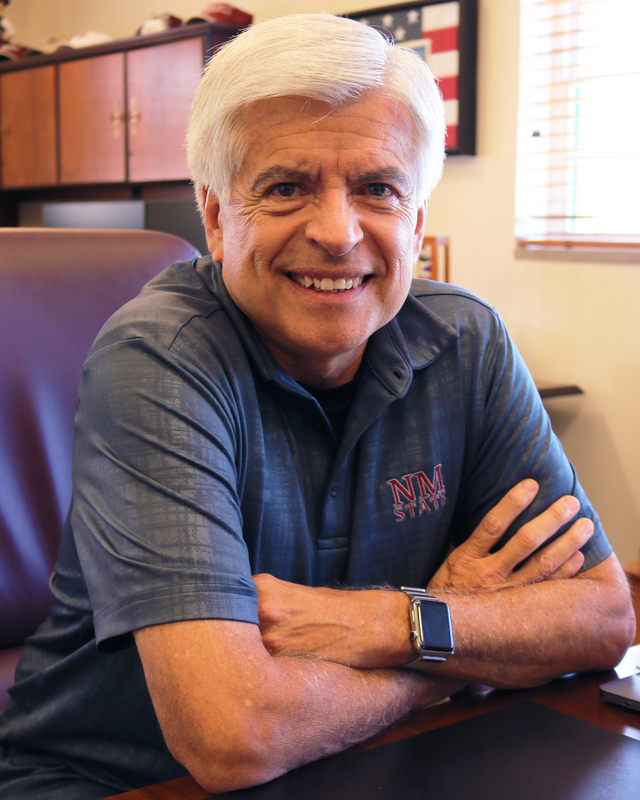 Of the five finalists who were selected as potential candidates for the position of chancellor, Arvizu was the only New Mexico native and NMSU alumnus. Another finalist, John Floros, was appointed university president by the Board of Regents. Arvizu and Floros will work together in their leadership positions to serve the New Mexico State University community. We sat down with Chancellor Arvizu last week to find out more about him, his history and his plans on leading NMSU. Thank you so much for agreeing to this interview, I know that the students, faculty and NMSU community will be interested in getting to know their newly appointed chancellor a little bit better. So what encouraged you to take on the position of chancellor at a university? Can you give me a brief overview of what a chancellor of a university typically does? It’s interesting that you correlate your position as NMSU’s chancellor with that of a company CEO. What exactly led you to this position? What challenges do you feel that you’ve overcome in your life, whether that be in your work or your personal life, that have helped lead you to where you are today? That’s incredible, what did you learn from that experience that you were able to take with you in your careers in energy and as chancellor? So, I’d like to turn the conversation toward concerns within the NMSU community; what issues would you like to focus on and address first as chancellor? Aside from addressing issues, it seems as though your job holds a number of responsibilities. Of these, what do you look forward to the most about being chancellor?